I want to thank Sourcebooks for providing me with an early copy of this book to read and give an honest review. Receiving this book for free has in no way influenced my opinion or review. When I was at BEA, I spoke with one of the publicists from Sourcebooks about this book. I've been on a contemporary kick and I immediately loved the concept of this book. It was different from other contemporary books I have been reading and I really wanted to see how the author played it out. And with that blurb from Armentrout, I thought I was for sure going to absolutely love this one. I have not read any of the other books in this "series" so I'm not sure if they are connected in any way at all. I did read a few reviews that talk about having met the characters before, though.I can say that I wasn't lost during the course of this book, so I am guessing that there's no real need to have any background from the other books. Annie is a character that I probably could have learned to love more if she wasn't presented as so flat. I had a really hard time connecting with Annie and having empathy for her over the loss of her boyfriend. I loved the fact that she was racing in his memory and that it was not easy for her. It was nice to watch her grow into her roll as a runner, with all the ups and downs it brings. I could relate to her on this level because I completed my first 10K last October and I NEVER thought I'd be able to do it. So emotionally, I definitely understood where she was coming from. I also understood her reluctance to let anyone in after the huge loss she suffered. But I really didn't feel the loss as much as I thought I should. I didn't get emotional when she was talking about Kyle or contemplating why she didn't want to get involved with Jeremiah. I didn't feel a gut wrenching loss when she closed herself off emotionally from those around her. Jeremiah was just ok for me. I cannot picture him in my mind, except maybe his washboard abs that Annie talks about. I didn't love their first real intimate encounter, it just didn't jive for me at all. I also had a hard time understanding Jeremiah. We do slowly get his background and slowly understand why he's an adrenaline junky but there's no real emotion attached to it. I really can't say much more about him because I just wasn't able to connect with him on any level. I needed to feel more between him and Annie. I needed to feel their connection and how they were both a bit reluctant to move out of the friend zone, but it just was not there for me. I can honestly say I really disliked the two calling themselves friends all the time. It didn't feel real, like they were pushing to say it but not because they didn't want to admit that they really felt otherwise. Overall I think the thing that did this book in for me was the writing. It was ALL telling and no showing. This made it very hard for me to connect with the main character or any of the other characters. I felt like the author was just describing the MC moving from one scene to the next. It was hard for me to picture any of the scenery or what was going on around the characters. I didn't get the emotional pull I was expecting from a story that should be heart wrenching. 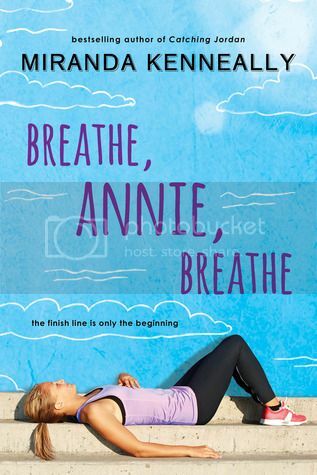 I wanted to understand the loss that Annie felt, but she was so emotionally disconnected I just didn't see it. And when I say this, I don't mean because the author was trying to make me feel emotionally disconnected, it just happened because of the way the author wrote the book. The pacing for me was a bit slow. I was easily distracted by other things because the book really didn't keep me in its grips enough. And it ran in a lot of circles that annoyed me. I didn't like the dialogue. I felt like it was forced and didn't flow naturally for me. Plus the interactions between Annie and Jeremiah really didn't make me feel like they had a connection, it didn't feel genuine. Sure there was enough to show their attraction, but not to the point that I was routing for them to get together. I can honestly say that I pushed myself to read and finish this book. At around 1/4 through the book I was contemplating putting it aside. at 50% I was already kind of invested enough that I really just wanted to push through to the end. I was intrigued enough to want to know how Kyle died and why Annie kept blaming herself. But once I got there I just didn't see it. Overall I wasn't really happy with the book. It was slow and the writing really needing some help. I'm not sure if I had read some of the authors previous works if I might have liked this one better. Contemporary fans may enjoy this enough to overlook the poor editing job and the fact that the entire book is the main character telling you all about things rather than showing you.